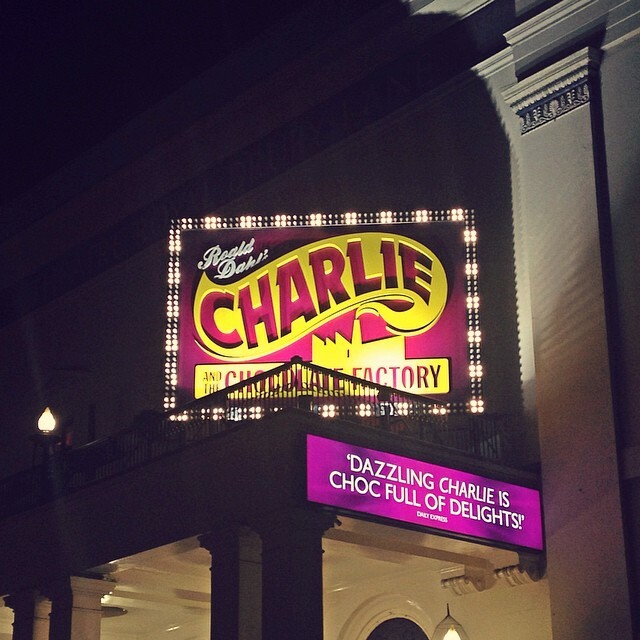 I'll start with a review I wrote a while back of the West End show Charlie and the Chocolate Factory that I never got round to publishing. This is the first theatre production I've written about on Amateur Reviews so here's to firsts. A couple of weeks ago I journeyed to London on a Law related excursion involving a night at the Theatre Royal on Drury Lane - many thanks, Slaughter & May. As Sam Mendes is one of my more revered directors I was looking forward to seeing his rendition of the much adapted classic by Roald Dahl. And I enjoyed it, but only just. First off, there is something mildly boring about watching something when you already know the plot like the back of your hand. Did I feel suspense every time Charlie opened a chocolate bar? Well obviously not, as we all know where the tale ends up. And yet conversely I was disappointed that, bar one song, there was none of the classic Charlie songs we know and love. I understand that some of the new tracks could go on to be equally as well known but it's like listening to a new album for the first time, you only really get into it after you've replayed it, and clearly I had not listened to the new Charlie tunes beforehand. So qualm numero uno is I knew the plot which made it a little uninteresting and qualm numero dos is that I didn't know the songs which, once again, made it a little uninteresting. With that said I'm not sure my familiarity with the story is all that is dulling my appreciation of the musical, as I could watch Les Miserables knowing the plot and songs every month and still dig it. No, I think my real disappointment stems from the fact this play is undoubtedly shopped for the under tens, and whilst still enjoyable for a parent perhaps, I found myself hyper aware of the target demographic. This is a family play and if I went with a young child I'm sure I'd find it magic watching them enjoy and become invested in the story but I didn't go with a young child - I went with a bunch of second and third year Law students. I'm not a theatre connoisseur, but I am more gripped by actual stories, like The Woman In Black and recently 12 Angry Men without razzmatazz and singing and dancing . It's not that I dislike musicals but somehow I can't see Charlie having the longevity of something like The Lion King. But it is undeniably fun, genuinely humorous at times and the set is unbelievable. If you're into big budget productions, with a huge cast, great costume, inventive set design, magical lighting and something to gawp at in every scene - Charlie excels in this respect. Would I describe my ticket to this musical as golden? Probably not. But am I glad I went? You betcha. I'm not a theater goer by any stretch, but I actually felt the same way when I saw the Lion King. It was so familiar, I was totally shocked and borderline angry. "This? This is what people are lining up for? " We know ALL of this! But had they deviated, I would have been equally furious.